The Fifth World Festival of Sacred Music (WFSM) will feature an astonishing 832 Artists who will be performing in thirty-two events devoted to sacred music and dance. The Festival’s intention is to promote Peace, Tolerance and Universal Responsibility. With the success of four previous Festivals (1999, 2002, 2005, 2008), the 2011 World Festival of Sacred Music (WFSM) has established itself as one of the premiere arts festivals of Los Angeles. For 16 days and nights from October 1 through 16, 2011, WFSM will fill L.A.’s historic theaters, churches, temples and public spaces with thirty-two performances featuring local and international artists with disciplines ranging from sacred traditional music to contemporary dance. Of the artists and groups performing, about half are making their festival debut. For more information on WFSM, please visit their official site. The Festival program reflects concerns of peace, unity and environmental stewardship. The opening event, Honoring the Sea, on Saturday, October 1 at Santa Monica Beach, is a WFSM tradition that celebrates the shared resource of our oceans and importance of its spiritual meaning. The gala concert, Water Is Rising, on Saturday, October 15 at Royce Hall at UCLA, presents performances from three Pacific Island nations (Kiribati, Tokelau, Tuvalu) that are threatened by the advance of global warming. The 1999 WFSM was initiated by His Holiness the Dalai Lama to mark the millennium with peace, cultural understanding and tolerance. Since its inception, the Festival has continued to promote intercultural and interfaith exchange among the diverse communities of Los Angeles, providing an opportunity for people to come together and build meaningful relationships. “Honoring the Sea” and “Water is Rising” events will bookend the Festival. In partnership with the City of Santa Monica and Heal the Bay, over three hundred artists present sacred traditions from seven lineages of world cultures on Santa Monica Beach (at Dorothy Green Park), Saturday, October 1 at 3:00 pm. The opening procession includes La Canada High School Marching Band; Palau Keali’i O Nalani and Halau O Lilinoe; Swing Brazil Tribe with Viver Brasil, Capoeira Batuque, Seara de Caridade do Cabolo Tupinamba and the Elders of the Diaspora; Senshin Buddhist Temple’s Kinnara Taiko; Agape Choir; and Remo Drum Circle. Playing a central role is the Ti’at Society as they paddle their traditional canoe beyond the ocean’s breakwaters carrying offerings and sacred blessings to the four corners of the Earth. This event is free to the public. Water is Rising brings together 36 artists from the smallest countries in the world (Kiribati-pop.100,000; Tokelau-pop. 1,500; Tuvalu-pop. 12,000) for the first time in the U.S. on Saturday, October 15 at UCLA Royce Hall. As highlighted in the Copenhagen UN Climate Change Conference of 2009, these Pacific atolls are at the front lines of global warming. With elevations of only 3-5 meters above the sea, they risk becoming the first cultures on earth to be submerged by rising sea levels. The groups present a program of new songs and dances that express their deep connections to nature, their ancestral past, their feelings about global warming, and the desire that the world not overlook them. The beauty, vitality and joy of their performance conveys a message of hope and faith for the future despite their concerns about global warming. The use of projections (with English supertitles) will provide images of their way of life, family, church, the ocean and the lagoon. The performance is meant to inspire audience and artists alike to be better stewards of our shared planet. Water is Rising, three years in the making, is curated by Judy Mitoma, Director, UCLA Center for Intercultural Performance and UCLA Emeritus Professor of the World Arts and Cultures Department. After the world premiere performance at Royce Hall, this project will proceed on a 14-city tour of the U.S. A project of UCLA Center for Intercultural Performance in collaboration with the Foundation for World Arts and EarthWays Foundation, Water is Rising is presented in partnership with the UCLA Institute of the Environment and Sustainability. Joining science, environmental studies, Pacific Island studies and performance, artists will conduct over 40 educational and outreach programs for all ages – K-12, university students, and adults. For more information on Water is Rising, the countries represented and issues related to climate changes, please visit their official site. Themes of peace, tolerance and universal responsibility are reinforced and echoed throughout the Festival’s events: Mare Vaporum, Sea of Vapor (Japanese American Cultural and Community Center, Oct. 16) features Zen Archer Hirokazu Kosaka along with Butoh dancer Oguri and the Colburn School’s Trudl Zipper Dance Institute as they celebrate the harvest moon with traditional Japanese purification rites; Groundswell (Ballona Freshwater Marsh, Oct. 8), a site-specific piece, choreographed by Kristen Smiarowski and composed by Robert Een, celebrates the Ballona wetlands; Ornament of the World (St. John’s Episcopal Church, Oct. 13), performed by soprano trio Voxfire and Arabic ensemble Kan Zaman, celebrates the song traditions of Muslim, Jewish and Christian communities of Medieval Spain; Sira (Théâtre Raymond Kabbaz, Oct. 14) unites Senegalese singer/kora player Albee Cissoko and German trumpeter Volker Goetze in a performance born out of mutual respect and admiration despite cultural barriers. Returning to the festival are: Halau Keali’i O Nalani (Santa Monica Beach, Oct. 1), Agape Choir (Santa Monica Beach, Oct. 1), The Yuval Ron Ensemble (The Broad Stage, Oct. 2), Los Angeles Electric 8 (LACMA, Oct. 2), Halau O Lilinoe a me Na Pua Me Kealoha (Santa Monica Beach, Oct. 1; Autry National Center, Oct. 8), Gamelan Sekar Jaya (The Luckman Fine Arts Complex, Oct. 8), Lesa Terry (Nate Holden Performing Arts Center, Oct. 9), Arohi Ensemble (First United Methodist Church of Santa Monica, Oct. 14) and T’iat Society (Santa Monica Beach, Oct. 1; CSULB, Oct. 16). The Soul of Spain – The Yuval Ron Ensemble presents an evening of music and dance that connects the Gypsy and Sephardic Jewish traditions of Andalusia, Spain to the Arabic Middle East. Featuring vocalist Jesús Montoya; flamenco dancer Briseyda Zarate; and Japanese flamenco guitarist José Tanaka. Sunday, October 2 at 7:30 pm. The Broad Stage, Santa Monica. Ticketed event. Deep Listening– This collaborative project features flutist Suzanne Teng; percussionist Gilbert Levy; Mystic Journey; guitarist Rob Levit; and Javanese vocalist Emiko Saraswati Susilo in a program of Asian, Middle-Eastern and African fusion. Wednesday, October 4 at 7:30 pm. Wayfarers Chapel, Rancho Palos Verdes. Ticketed event. Groundswell – Choreographer Kristen Smiarowski and composer Robert Een lead a large cast of dancers, instrumentalists and vocalists in a site-specific piece that celebrates the Ballona wetlands. Saturday, October 8 at 7:00 am and 8:00 am, Ballona Freshwater Marsh, Playa del Rey. Free event. Mebarung – Cal Arts’ Gamelan Burat Wangi and Bay Area’s Gamelan Sekar Jaya showcase their most virtuosic works, illustrating the spiritual and sublime source of Balinese arts. Saturday, October 8 at 8:00 pm. The Luckman Fine Arts Complex, Los Angeles. Free event. Emerging Voices – Violinist and educator, Lesa Terry, brings together young string players, dancers, singers and spoken word artists from the South Central Los Angeles communities. Sunday, October 9 at 4:00 pm. Nate Holden Performing Arts Center, Los Angeles. Ticketed event. Ornament of the World – Soprano trio Voxfire and Arabic ensemble Kan Zaman celebrate the song traditions of Muslim, Jewish and Christian communities of Medieval Spain. Thursday, October 13 at 8:00 pm. St. John’s Episcopal Cathedral, Los Angeles. Ticketed event. Sira – Senegalese singer/kora player Ablaye Cissoko and German trumpeter Volker Goetze unite in a performance born out of mutual respect and admiration despite cultural barriers. Friday, October 14 at 7:30 pm. Théâtre Raymond Kabbaz, Los Angeles. Ticketed event. Mare Vaporum, Sea of Vapor – Zen Archer Hirokazu Kosaka along with Butoh dancer Oguri and the Colburn School’s Trudl Zipper Dance Institute celebrate the harvest moon with traditional Japanese purification rites. Sunday, October 16 at 8:00 pm. Japanese American Cultural and Community Center, Los Angeles. Ticketed event. Heidi Duckler Dance Theatre and Djanbazian Dance Company perform Expulsion, a site-specific modern interpretation of the biblical story of Cain and Abel. (Oct. 1 & 2 at 6:00 pm. Vacant Lot, 175 N. Brand Blvd., Glendale) Free event. Kitka Women’s Vocal Ensemble and soprano Tzvetanka Varimezova perform together inSanctuary as they sing traditional and contemporary works from the Eastern Orthodox, Jewish, and Islamic cultures of Eastern Europe. (Oct. 1 at 8:00 pm. First Lutheran Church of Venice, Venice) Donation. “The Queen of Gypsy Music” Esma Redžepova makes a rare U.S. appearance sharing songs and stories about Roma culture and the universal pain of unrequited love. (Oct. 1 at 8:00 pm. The Luckman Fine Arts Complex, Los Angeles) Ticketed event. Tanbur legend Ali Akbar Moradi performs Kurdish Music of Pre-Islamic Yarsan, demonstrating the unending beauty of ancient Persia. (Oct. 2 at 4:00 pm. St. James Presbyterian Church, Tarzana) Donation. Electric guitar octet Los Angeles Electric 8 welcomes Javanese vocalist Peni Candra Rini for her U.S. debut in a performance that highlights 20th century American composers whose works were inspired by Indonesia. (Oct. 2 at 6:00 pm. LACMA Bing Theater, Los Angeles) Free event. Virtuoso Pandit Hariprasad Chaurasia performs an evening of music, Sacred Traditions, on one of the world’s most ancient instruments – the North Indian bansuri flute. (Oct. 2 at 8:00 pm. Skirball Cultural Center, Los Angeles) Ticketedevent. Omo Aché Afro-Cuban Music & Dance Co. brings to life the beliefs of the Yoruba, Arará and Congo religions of Cuba through sound and movement associated with the spirit world. (Oct. 6 at 6:00 pm. UCLA Fowler Museum, Los Angeles) Free event. Samba Society explores the interplay between rural and urban; music and dance; and sacred and secular practices that lie at the heart of Brazilian samba culture entitled Partido Alto-Astral: An Evening of Spiritual Sambas. (Oct. 6 at 8:00 pm. Madrid Theatre, Canoga Park) Ticketed event. With Native American world flutes and antique Tibetan singing bowls, Ann Licater and Hans of 33 Bowls provide a contemplative soundscape for self reflection entitled Sacred Sounds. (Oct. 7 at 7:30 pm. The Los Angeles Art of Living Center, Los Angeles) Donation. The award-winning Halau O Lilinoe shares the rich culture of Hawaii with performances of ancient chants and an interactive workshop on lei making and basic hula. (Oct. 8 at 1:00 pm. Autry National Center, Los Angeles) Ticketedevent. Guitarist Cristian Amigo leads improvisational group Surrealestate in Right Here, Right Now, apiece that encompasses multiple artistic and cultural perspectives, overlapping planes of time and space. (Oct. 8 at 2:00 pm. Inner City Arts, Los Angeles) Free event. Pasadena-based Makoto Taiko presents an evening of traditional Japanese music with large taiko drums, fue (flute) and koto (plucked strings). (Oct. 8 at 5:00 pm. The Luckman Fine Arts Complex, Los Angeles) Free event. Sampurna: The Full Circlefeatures vocalist Aditya Prakash and progressive group Le J Trio as they fuse South Indian classical music and jazz. Also featured are North Indian veena virtuoso Suman Laha and tabla master Abhiman Kaushal. (Oct. 9 at 3:00 pm. Brand Library & Art Center, Glendale) Free event. The Choir of St. James and organist Alan Morrison invite the public to hear the musical expression of their Anglican worship entitledEvensong. (Oct. 9 at 4:30 pm. St. James Church, Los Angeles) Free event. Mamak Khadem Ensemble performs songs inspired by the poetry of Rumi and Sohrab Sepehri, calling upon the sacred Persian traditions of meditation, chant and call-and-response. (Oct. 9 at 6:00 pm. First Baptist Church of Glendale, Glendale) Ticketed event. South Pacific fusion ensemble Te Vaka delivers a kaleidoscopic array of Pacific flavors in a genre of its own. (Oct. 9 at 7:00 pm. Santa Clarita Performing Arts Center at College of the Canyons, Santa Clarita) Free event. Aga Khan Council for the Western United States presents documentaryfilm Sufi Soul, the Mystic Music of Islam with a post-discussion led by Dr. Hussein Rashid. (Oct. 11 at 7:00 pm. Skirball Cultural Center, Los Angeles) Free event. Sitar player Paul Livingstone and Arohi Ensemble join organist Christoph Bull for traditional and contemporary improvisations from India and Europe entitled Bridges: Structure and Improvisation from East and West. (Oct. 14 at 8:00 pm. First United Methodist Church of Santa Monica, Santa Monica) Donation. The Ti’at Society leadsprayerful offerings of song and dance at the sacred grounds of Puvungna – the place of creation and emergence of the Tongva people. (Oct. 16 at 10:00 am. Cal State Long Beach, Long Beach) Free event. Together for the first time, Tibetan singer Karjam Saeji and Tibetan Dance and Opera Company Chaksam-pa share their musical traditions. (Oct. 16 at 2:00 pm. Eagle Rock Center for the Arts, Los Angeles) Free event. Beth Shir Shalom’s resident band The TishTones and Orange County gospel group The Sylvia Cotton Singers juxtapose Jewish klezmer and Christian spirituals. (Oct. 16 at 3:00 pm. 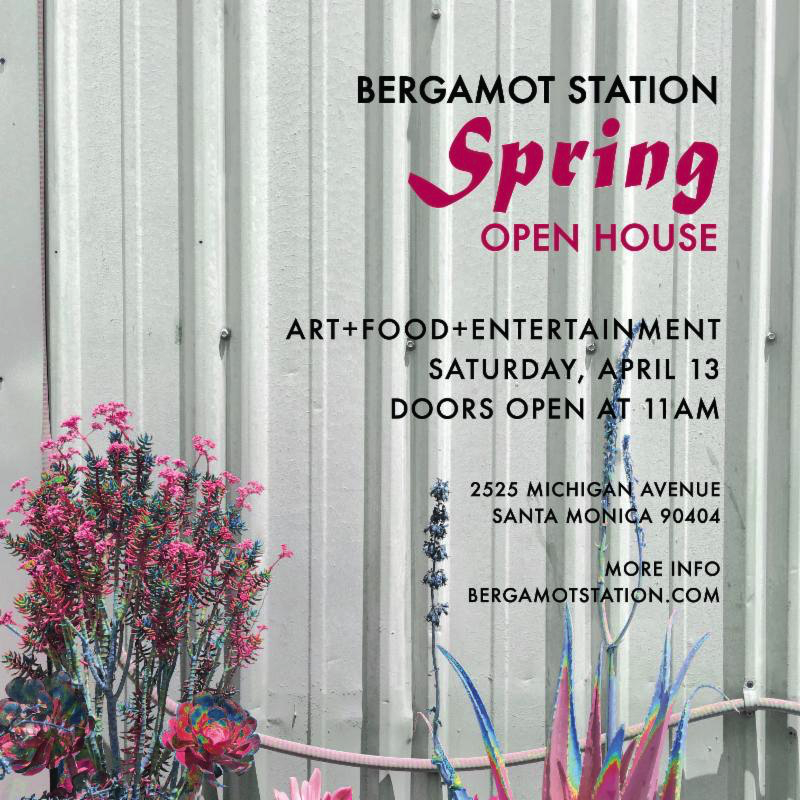 Beth Shir Shalom, Santa Monica) Ticketed event. Tabla player Javad Ali Butah and Kathak dancer Rina Mehta join together in celebration of the dance and music traditions of North India. (Oct. 16 at 5:00 pm. Barnsdall Art Park, Los Angeles) Ticketed event. 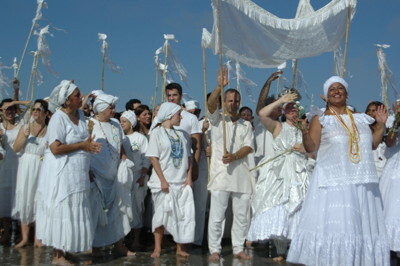 The 2011 World Festival of Sacred Music is a project of Foundation for World Arts and UCLA Center for Intercultural Performance. This event would not have been made possible without generous contributions from: The James Irvine Foundation; Ford Foundation; National Endowment for the Arts; Department of Cultural Affairs, City of Los Angeles; Los Angeles County Arts Commission; City of Santa Monica, Cultural Affairs Division; His Highness Prince Aga Khan Shia Imami Ismaili Council for the Western United States; Heal the Bay; and EarthWays Foundation. The Festival is also made possible through the shared commitment of those who contribute by their in-kind assistance. Artists, organizers, and the audience realize the community-building intention of the Festival through their participation. For more information and a complete list of events visit their official site. Nice post. I was checking continuously this blog and I am impressed! Extremely helpful information specially the final phase 🙂 I maintain such information a lot. I used to be seeking this certain info for a long time. Thanks and good luck.